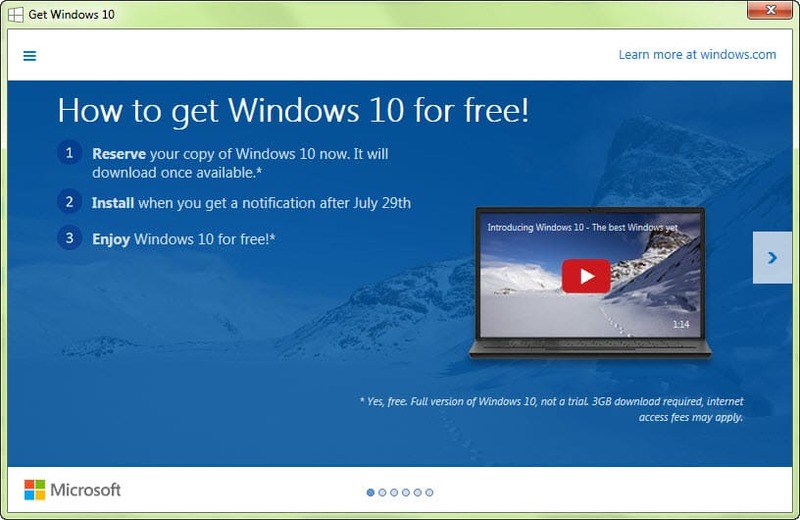 Windows 10 Update Guide: How to Upgrade to Windows 10 OS from Win 7/8.1? Microsoft admits Windows 10 may freeze after installing the Anniversary Update. Should I update? How can I fix the Windows 10 update problem? However, Microsoft admits Windows 10 update has a serious problem and has no fix. Actually, there are only a small number of users reported that Windows 10 may freeze after installing the Anniversary Update on systems with the operating system stored on a solid-state drive (SSD) and apps and data stored on a separate drive. Besides, this issue can be avoided if starting Windows 10 in Safe Mode. So, don't be panic, and you will be summerized for the details of updating to Windows 10 via Windows Update as the easiest and safest method. Please note: after installing Windows 10 OS version, your computer will lose the feature of playing DVDs by Windows Media Player. Therefore, before or after updating to Windows 10, you'll have to install a Windows Media Player successor - 5KPlayer for Windows 10. 5KPlayer is the best free DVD player and video/music player. As the alternative to Windows Media Player for Windows 10, it excels in online video download from YouTube and 300+ websites and streaming media via the AirPlay-enabled feature. Windows 10 update service is provided to qualified Windows 7 and Windows 8.1 devices. But please note that Windows 7 Enterprise, Windows 8/8.1 Enterprise, and Windows RT/RT 8.1 are excluded for the one-year free update. By right clicking "Get Windows 10" on the right bottom on your taskbar, you can choose "Get to know Windows 10" and Windows 10 update history to see the specific procedures. And you can configure its new features to make sure that you really want to update. Note: For visiting windows store, installing and running the apps, you also need internet connection, over a 1024x768 screen resolution and the account of Microsoft. Click the button "Reserve your free upgrade". Enter your email to get a confirmation. You'll get the prompt "Great, your upgrade is reserved." After it, input your Email address in the blank of the opened window, and then send it to get a confirmation. Close the window and wait. Once you enter your Email ID, you can just close the window and wait for the l notification about Windows 10 availability on your computer. Once you reserve the upgrade, Windows will show a notification to you once all the required files have been downloaded on your computer and Windows 10 is ready to install. And then you can download and install Windows 10 easily. What After Free Windows 10 Update/Upgrade? After the official release of Windows 10, you can achieve the free update successfully. After it's installed, Windows 10 is all yours. However, you will find that there will be no more built-in Windows Media Center that was in the previous versions. Except Windows Media Player, there are many good yet free audio video players that can be downloaded as the alternative. 5KPlayer, for example, is an outstanding one that combines playing with free online video download and free music video streaming. It plays 720p/1080p/4K/5K/8K videos, while supporting all of their dimensions and formats at no cost. DVDs and online radio can also be played. Moreover, it can free download online videos and movies from YouTube, Dailymotion, Facebook, Yahoo, MTV, Break, Vimeo, Vevo and more. The streaming feature makes it an AirPlay receiver and sender to realize the cross-screen display, from iPad, iPhone and Apple Watch to PC and Mac, or from PC/Mac to Apple TV wirelessly. Such functions are supplements of many other Windows 10 compatible media players. If you do not want to replace Windows Media Player or VLC that is currently used by you and your family, please try to install an all-in-one video converter for your Windows 10 device. 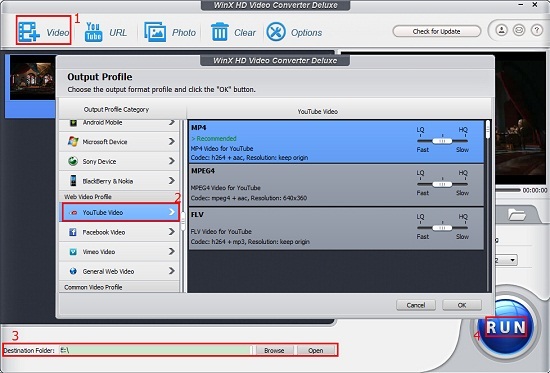 WinX HD Video Converter Deluxe is a welcome video converting and compressing software program that can help you out when you have trouble playing some videos. By it, all your HD and UHD video files can be converted to what video audio formats you want, to be compatible with Windows 10 PC, 5K retina iMac, Surface Pro, WP8, Android phone, iPad, iPhone and so on, or to be uploadable to YouTube, etc. That is to say, you are enabled to play any videos on any gadgets or portable devices, no matter what players you are using! 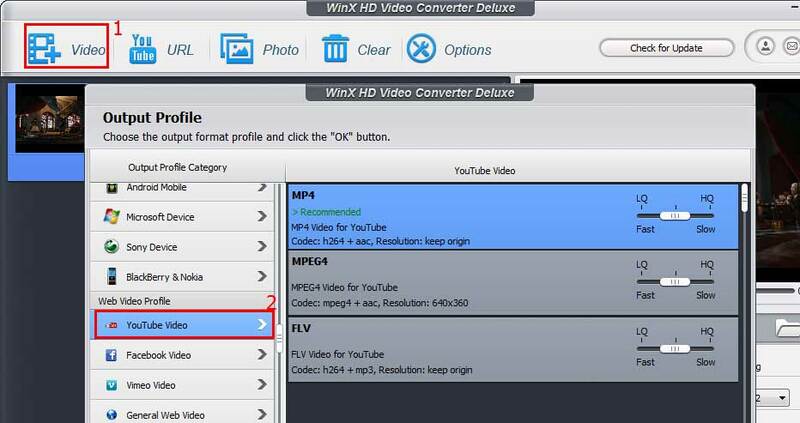 More than just a video to video/audio converter, WinX HD Video Converter Deluxe can download 4K/8K/HD/SD YouTube videos or many other online videos. Besides, you can use it to edit videos or make photo slideshows. Perfectly compatible with Windows XP, Vista, Windows 7, 8 and Windows 10, it is what your Windows computer deserves!